There are a lot of gaming masochists out there. It seems that Dark Souls has shipped 1.5 million copies worldwide, which equals a whole Havel-load of player deaths. 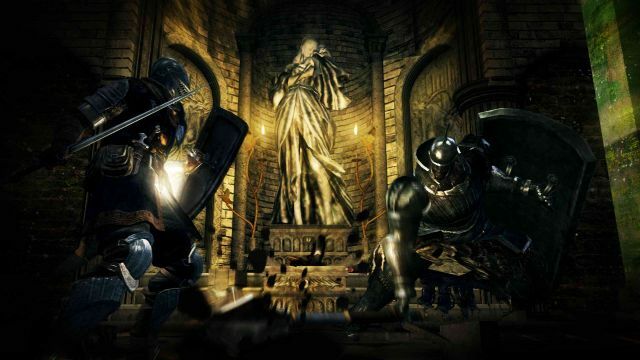 Multiplayer enthusiasts, be they versus or co-op players, will be happy to hear that the patch I mentioned last week is scheduled to go live on the Japanese version of Dark Souls today. We can expect the patch to make its way to other regions, as well as the Xbox 360 version of the game, in the near future. For a full list of the updates, with less garbled English, you can check out a full translation after the break. There are numerous changes, including new shop items, weapon nerfs, and tweaks to multiplayer. Check out the fixes and let us know what you think! Dark Souls is out now on the PlayStation 3 and Xbox 360. It supports three player online co-op. This is a translation of the From Software home page. It was posted by "duckroll" via NeoGAF. - Elemental enhanced and Stat enhanced weapons have been rebalanced. - Matching and multiplayer conditions have been adjusted. - Defeating a boss in multiplayer will now reward the host with the full amount of souls from the boss. - When failing to invade a player's world using the Cracked Red Eye Orb, the item will no longer be used up. - Adjustments to the amount of suols dropped by enemies. - Adjustments to the item drops from enemies. - Some bosses will drop Humanity and Homeward Bones now. - Increased Drop rates for certain Covenant items and Equipment Enhancement materials which had extremely low drop rates. - Adjusted the Item Discovery increase rate which scales with Humanity levels. - The amount of Faith required to join the Sunlight Covenant is now 25 instead of 50. The formula for reducing it with multiplayer remains the same. - Paying for your sins is now cheaper. The formula is Level x 500 souls, instead of Level x 2000 souls previously. - Lock-on behavior has been adjusted. - Fixed certain cases of game freezing. - Changed the way souls are displayed in the Level Up Menu. - Fixed the exploit with infinite weapon/magic usage. - Fixed the 1 second delay during certain attack animations. - Fixed the bug where Solaire isn't in New Game+. - Fixed the shard bug with Frampt which took away all your shards if you had more than 99. - Fixed getting stuck in certain parts of the map, being unable to progress. - Changed some English text in the game to be consistent with corrections made in the overseas version of the game. Thanks to Steampunk Jin for the tip!